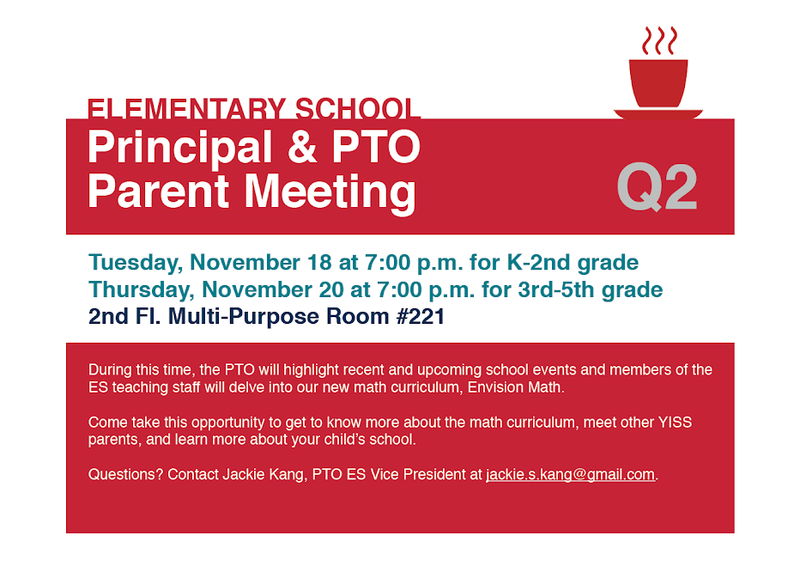 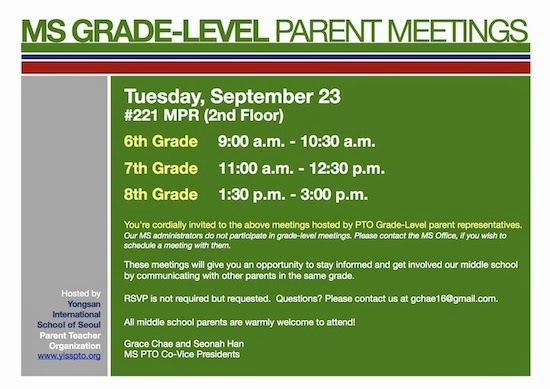 Please send any questions you may have about the meeting or questions addressed to the PTO or Principal to Jackie Kang (jackie.s.kang@gmail.com). 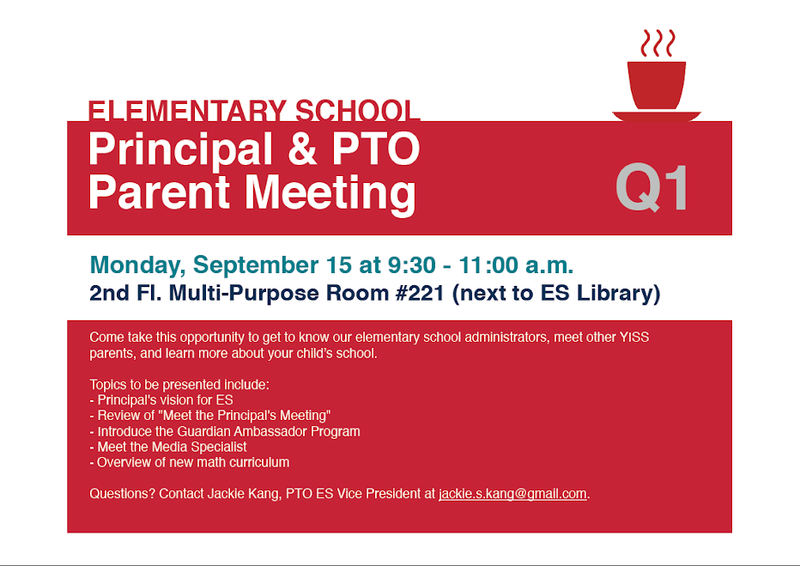 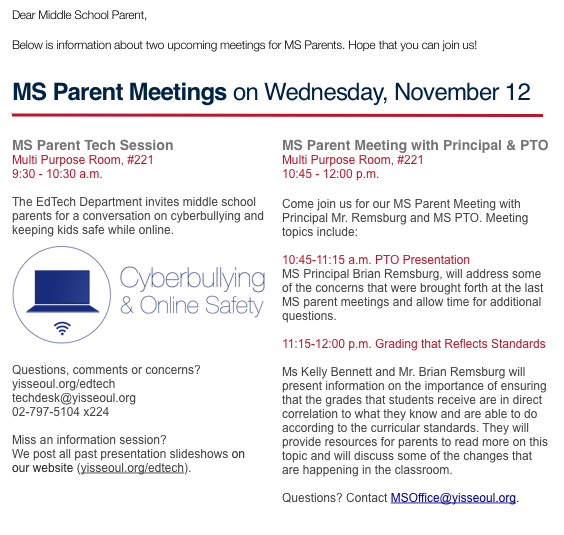 Please send any questions you may have about the meeting or questions addressed to the PTO or Principal to Grace Chae at gchae16@gmail.com. 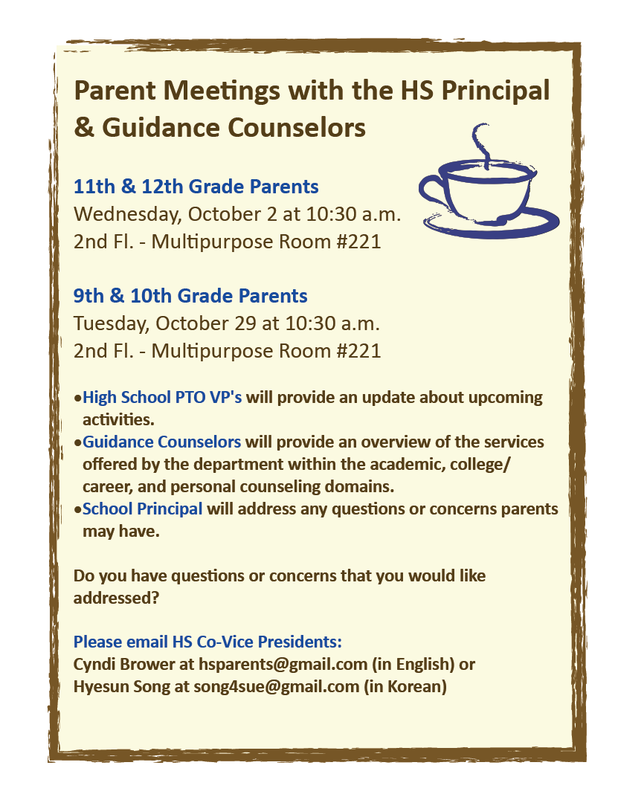 Please send any questions you may have about the meeting or questions addressed to the PTO or Principal to Cyndi Brower at auntcyndi@gmail.com (in English) or Hyesun Song at song4sue@gmail.com (in Korean).